Egypt is now on a mission to encourage foreign archaeologists back to Egypt, including the millions of tourists that usually visit the country each year. We are now hearing reports that security has been improved and most of the ancient sites are now being safeguarded, with tourist police back on the job. Our friends in Luxor tell us hotels, restaurants, shops and tourist attractions are all open for business and that there is no better time to visit the temples, the Valley of the Kings and all the other sacred sites in Luxor. 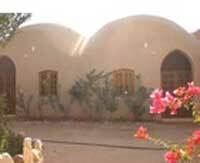 If you are planning to stay in Luxor and wish to have an authentic experience, we recommend The Flower of Light Centre on the West Bank. From all accounts, it is a wonderful oasis of calm, with a beautiful pool and luscious gardens, a perfect place to meditate and allow the ancient energies to filter through, surrounded by the ancient village of Gurna and the desert beyond, where the Pharaohs are buried in their eternal tombs. If you wish to explore the mystical path, the new age hosts offer courses and retreats in ancient wisdom and the mystery schools, with special trips to several sacred sites. But the Centre is also a place just to relax and unwind; to enjoy the aesthetic surroundings, the great food and interesting visitors. It's also a great place to explore the Valley of the Kings and Queens, Deir el Medina, the Ramesseum and Temple of Seti I. A scholarly yet poetic account of the Egyptian temples, offering a unique insight into the religious monuments and the people who worshipped within them. This book explores the ancient connection with the gods, like Thoth and Anubis, offering meditations and rituals from the past, initiating us into a deeper world.